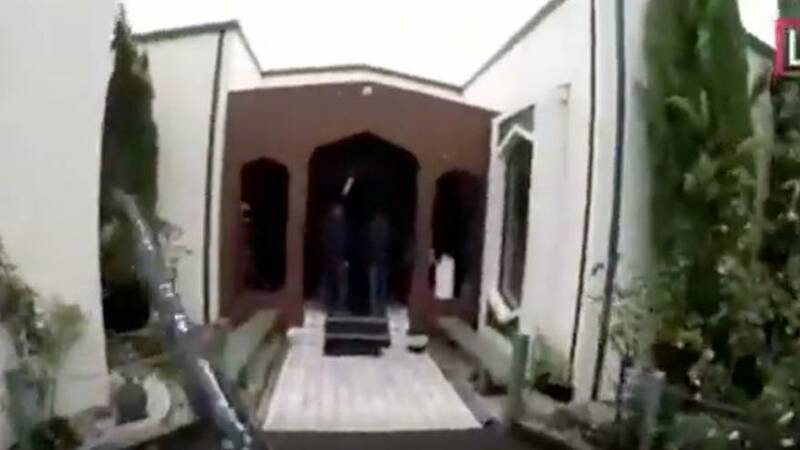 The death toll from the mosque shootings rose to 50 after investigators found another body at one of the mosques, said New Zealand's Police Commissioner said on Sunday. "It is with sadness that I advise that number of people who died in this event has now risen to 50. As of last night, we were able to take all of the victims from both of those scenes. In doing so we were able to locate a further victim," Police Commissioner Mike Bush told a news conference. Greg Roberston, the chief surgeon for the Canterbury district health ward said 34 people were still being treated at the hospital with 12 in intensive care. A suspected white supremacist was charged with murder for the Christchurch shootings on Friday, in what Prime Minister Jacinda Ardern called a "terrorist attack". A 28-year-old Australian suspect, identified as Brenton Harrison Tarrant, appeared in Christchurch district court on Saturday at 11:00 am local time. Tarrant was charged with murder and was remanded without plea. He will return to court on April 5. At a Sunday press conference, Ardern said the suspect will face justice in New Zealand. Police said that the woman who had been detained the day of the attack had been released and that the other male suspect had been charged with unrelated firearms charges but that he wasn't involved in the attack. Authorities started to return the bodies of the dead on Sunday, said Ardern, as funeral preparations got underway. According to Islamic tradition, the dead must be buried 24 hours after passing away. The Prime Minister added that security at mosques' entrances would be heightened for the next few days or until the police investigation was ongoing. Victims' families will be eligible to receive funeral grants of 10,000 New Zealand dollars (€6,000) as well as other welfare benefits in the form of child care, help in case of loss of income and food stamps. The suspect is believed to have live streamed the first attack on Facebook. Minutes before starting the live stream, a “manifesto” was also posted online, denouncing immigrants and calling them “invaders”. On Sunday, Ardern discussed for the first time the suspect's apparent manifesto, which her office received nine minutes before the attack took place. Within two minutes of receipt, the document was flagged to parliamentary security, she said, adding that the manifesto was sent to 30 other email addresses including hers. The live stream, which lasted over 16 minutes, was posted on a page belonging to Brenton Tarrant but was quickly deleted by Facebook. It appeared to have been filmed with a head camera and shows a man in combat gear driving to the Al Noor Mosque in central Christchurch. After parking his vehicle, he picks up one of the rifles in his trunk and walks to the mosque and starts shooting as he approaches the door. Ardern said on Sunday that Facebook's chief operating officer, Sheryl Sandberg, had sent her condolences over the shootings. When asked if Facebook should stop live-streaming, Ardern said she would discuss "the issue directly with Facebook." Tarrant was arrested in a car, which police said had improvised explosive devices. Ardern added that Tarrant was a licensed gun owner who allegedly used five weapons, including two semi-automatic weapons and two shotguns that were modified. The Prime Minister pledged that the country's gun laws would change, adding that a ban on semi-automatic weapons would be considered. Ardern said that Parliament would convene on Monday to discuss a change in gun policies. "We cannot be deterred, gun laws have to be changed regardless on activity from gun retailers," she said speaking to reporters. There are an estimated 1.5 million firearms in New Zealand for a population of nearly five million. However, the country has maintained a low level of gun violence with Friday's attack being the biggest mass shooting in the country's recent history.